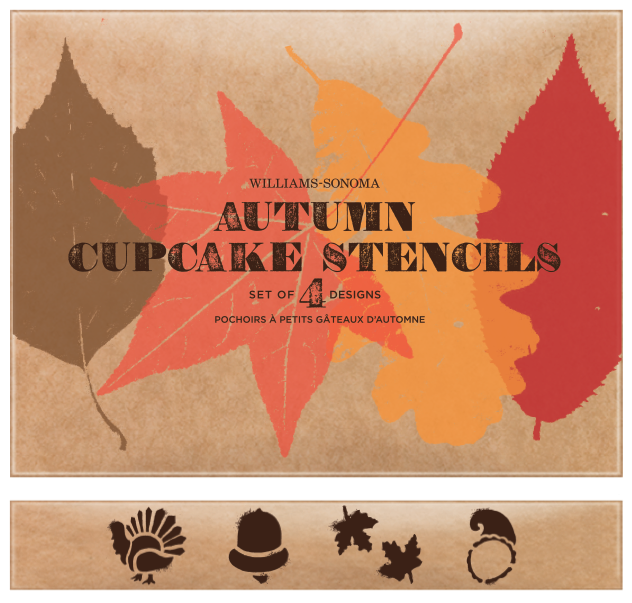 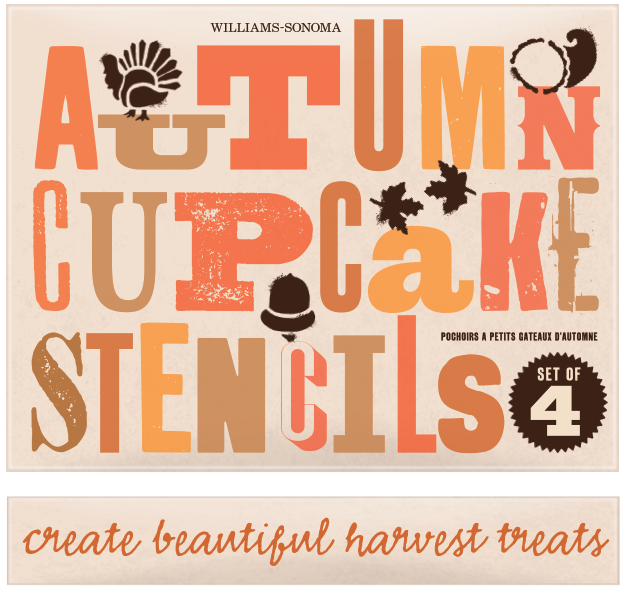 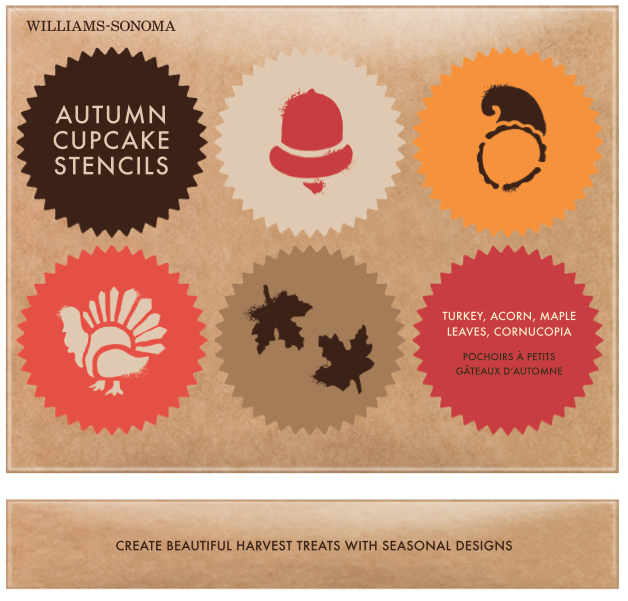 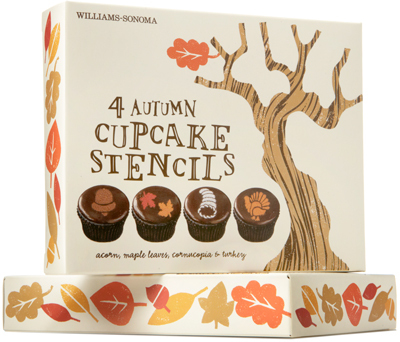 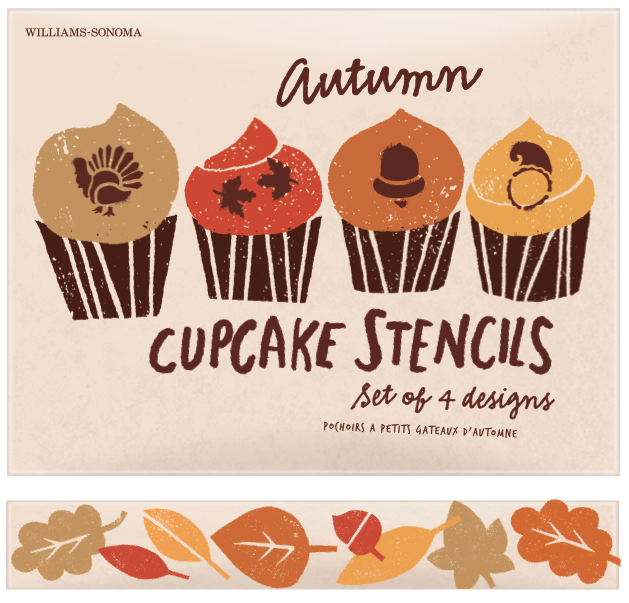 Williams-Sonoma cupcake stencils for Thanksgiving. 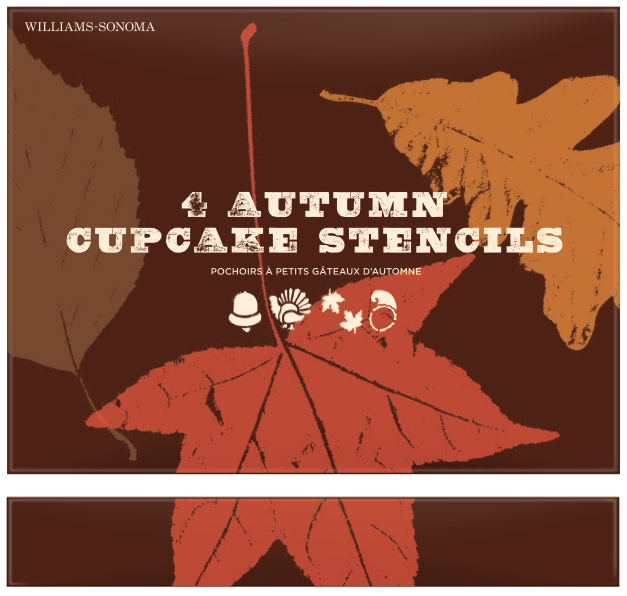 I worked on the simple, distressed illustrations for this too. 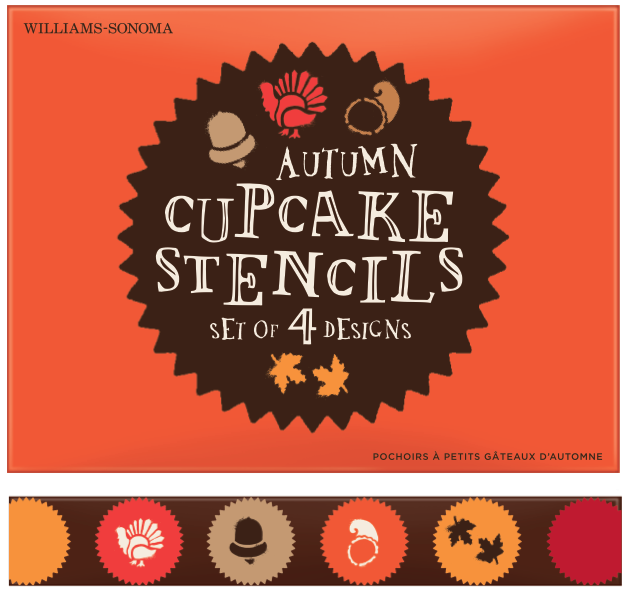 Some alternative design options proposed.